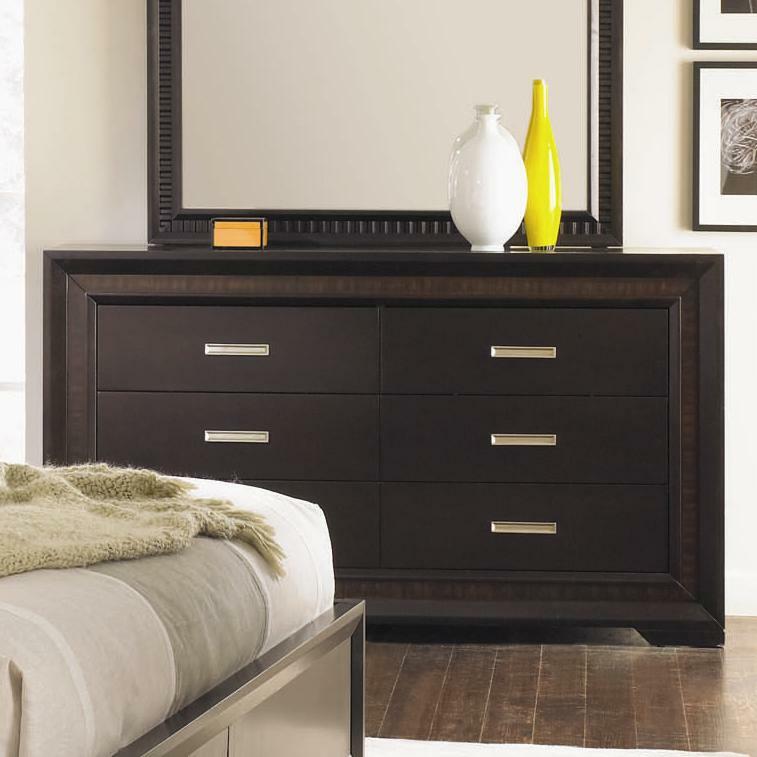 This contemporary wooden dresser will make a lovely addition to any bedroom. It is framed in beautiful Cherry and Primavera veneers, which accent the rich Mocha finished wood. 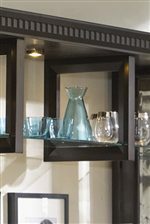 The top drawers are felt lined to keep your delicate items snag-free. Full extension ball-bearing glides allow all drawers to slide all the way out, and custom silver hardware adorns each drawer. Pair this dresser with the coordinating mirror for a terrific combination. The Brentwood Six Drawer Dresser with Silver Hardware by Najarian at Michael's Furniture Warehouse in the San Fernando & Los Angeles area. Product availability may vary. Contact us for the most current availability on this product.